Global Jobcoin (GJC) was distributed on 16/01/2018 and runs without requiring a reserve bank or single administration. 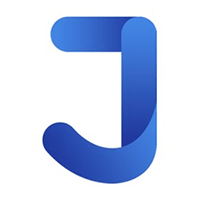 Global Jobcoin cannot be mined for a profit like other coins, so therefore, to obtain GJC, you can buy from a currency exchange service. To keep updated with the latest news from Global Jobcoin, you can find them on Reddit and Facebook. We don't have any exchanges listed for Global Jobcoin yet, check back soon! We don't have any wallets listed for Global Jobcoin yet, check back soon! We don't have any debit cards listed for Global Jobcoin (GJC) yet, check back soon! We don't have any price charts listed for Global Jobcoin yet, check back soon!